James Edward Robinson was arrested on May 8th. He was held incognito for 7 days until he was arraigned. The federal government promptly disappeared him again and he remained purposefully hidden until the morning of June 5th. It took that long for the system to make as mistake and that mistake finally gave his defense committee the break it needed to be able to even contact him. It was an exhaustive search of at least 57 federal prisons, transfer facilities, state prisons, and county jails used to hold federal prisoners. Neither the Bureau of Prisons nor the US Marshals would admit to having him in custody. This reporter also searched for him and was lied to by the North East Ohio Correctional Center about him being in custody there. Yet he was found there this morning and his prisoner number is 65627060. He had been hidden there the whole time, with his defense attorney refusing to give information. That defense attorney raised no objections when he appeared in court with obvious bruises and immediately moved to wave his right to a speedy trial. Nancy Norelli, a prison welfare and public records lawyer working on Robinson's case, claims she has never seen anything like this. This is a case of a person held without a firm trial date, a point of contact, the ability to hire his own attorney and right to a speed trial. With signs of obvious abuse during questioning, this author was about to resort of a fact finding mission to Guantanamo Bay. Norelli discussed the possibility of a habeas corpus petition “We might have to actually do that.” she said. The defense committee even went so far as to enlist the help of the office of Sherrod Brown. A staffer there, John Patterson, after “checking around” told Robinson's supporter that he would not appear in the system for “up to three weeks.” A this reporter did not get Johnson on the phone to confirm this quote. I was rudely refereed to Senator Brown's DC press office voicemail. The Senator's office has declined to comment on that or his 2012 vote for the National Defense Authorization Act that allows the indefinite detention of US citizens without trial. Brown, allegedly the most liberal US Senator in the Midwest has also yet to condemn the loss of thousands of immigrant children in held in private ICE detention after being separated from their parents at the border. Defense Committee members have had multiple attempts to shut down their fund raising and have had to launch yet another site. They are planning on visiting Robinson on Thursday June 7th. This will be his first contact with the outside world. He has not seen anyone but his public pretender and his interrogators in the last 30 days. 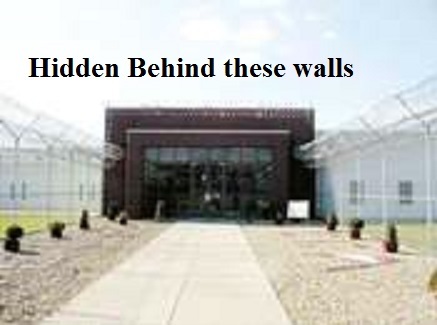 The defense committee has asked for supporters to write him letters at North East Ohio Correctional Center 2240 Hubbard Rd, Youngstown, OH 44505 and to include his prisoner number in the address. They are seeking money both to finance his defense and to put on his commissary. The Mockingbird expects them to not forget and to provide us with updates as his case progresses through the courts.